These Cabinets comprises of four compartments with separate carriages for storage of cadavers. Each compartment is equipped with a hinged door and locking arrangement. 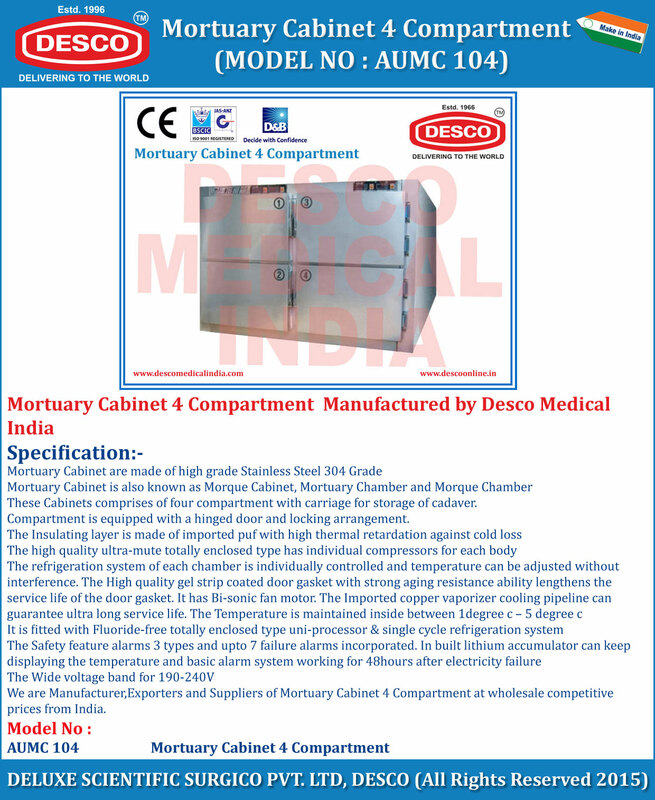 We are Manufacturer,Exporters and Suppliers of Mortuary Cabinet 4 Compartment at wholesale competitive prices from India.